But seriously, what have I gotten myself into now? Rain. Rain! It’s raining in Los Angeles. All winter we’ve worn our summer dresses, our sunblock, and our shades. All winter we’ve quietly wondered to ourselves if this is the beginning of the end. If global climate change had decided to make her fist move. If summertime in the winter is what all those scientists were talking about. Los Angeles winters of 85 degrees. If perhaps we should’ve gotten a new Prius after all. If our kids were going to think California and the equator were pretty much the same. If the constant sunshine was making us all batty. It started to rain in the wee hours of the night and to my great pleasure, I can still hear it coming down. A hard dripping sound on the plastic of the air conditioner outside the window. A soft, wet, swishy drip onto the leaves of the plants that are abundantly growing thanks to the never-ending sunshine. A splatter drip washing the terracotta tiles of our front porch. And then the warm, cozy drip on the roof that feels like cotton balls in my ears. I am enveloped in the womb of rain. Thank you. Whoever you are. Thank you. In my living room we have a small oriental rug. Sam and I purchased it at a bazaar years ago. It was one of our first big buys and it was exciting. The rug is from Afghanistan and we are definitely not the first owners. The color scheme is red and creme and two shades of blue and because the rug is positively ancient, the whole thing is faded six-ways to Sunday. Plus, I have small children and a dog so the poor rug has been put to the test. All of which of course, just makes it more beautiful. Anyway, around the edges of the rug lies a complicated border. The border, I have been told, is lava. I first found out this startling news when I stepped on it and was told, “Mommy! You’re burning in lava!” Naturally, I jumped out of the border as fast as I could. Soon, talk of the lava had reached far and wide and everyone began carefully stepping over the dangerous terrain. 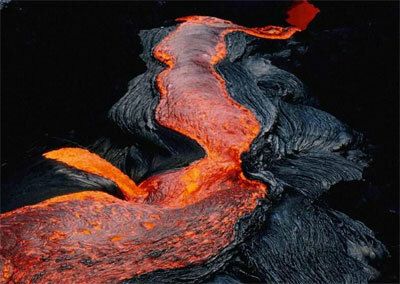 What’s most alarming is that the lava flows around and around the border with no way to curtail its deadly path. The poor dog is forever getting burnt to a crisp and even I have been known to walk right through it unawares. How could I be so careless? Little did Sam and I know when bought this rug that it would be such an important part of our family. We knew we’d probably have it forever. We didn’t know it would sprout its own lava train. So be careful if you stop by, because the lava will burn you.